Our “Wonderful Creepy” hair fascinators are completely unique and very odd. 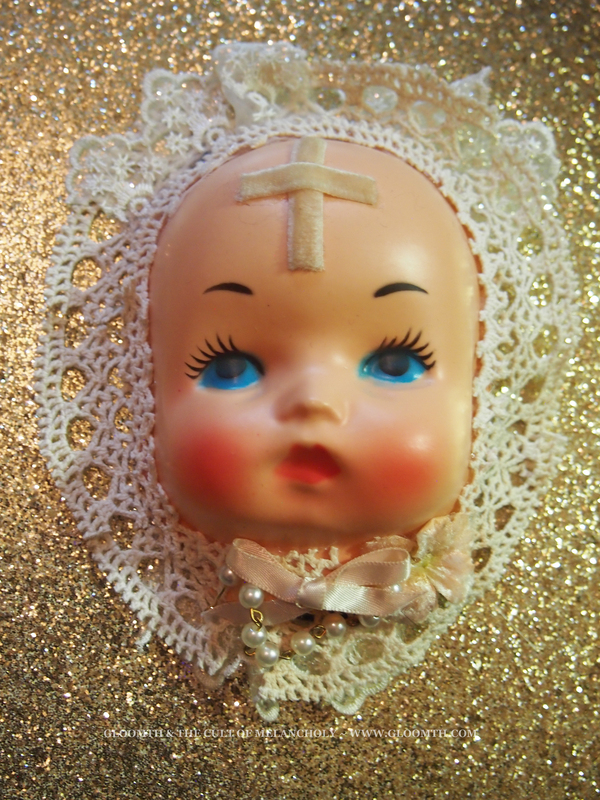 Utilizing vintage doll faces and all sorts of repurposed notions and fabrics each is entirely one of a kind. If your taste is a bit less oddball our “Halloween Candy” hair clips and bangles might fit the bill! Packed full of sparkle these hand-cast plastic pieces make awesomely cute finishing touches to your look. 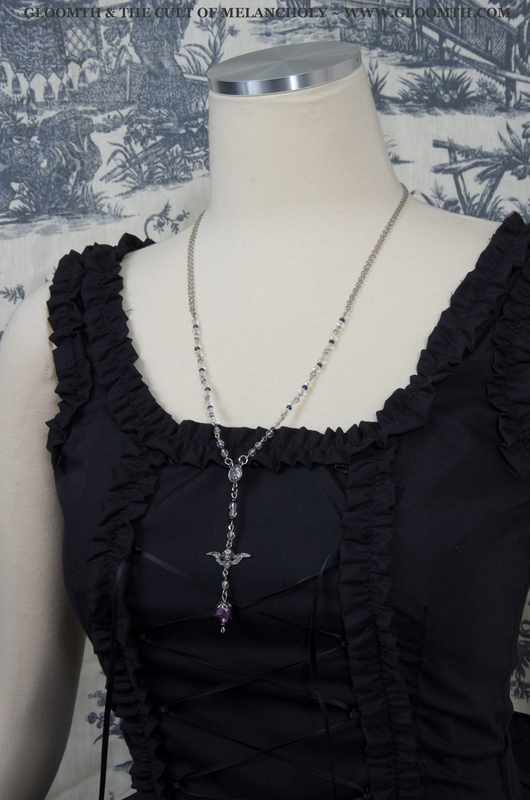 For the classically inclined we have gorgeous jewelry handmade by our model (and friend) Mistress McCutchan! Her work includes faceted crystals and preserved roses. ← What to Wear to a Tea Party!